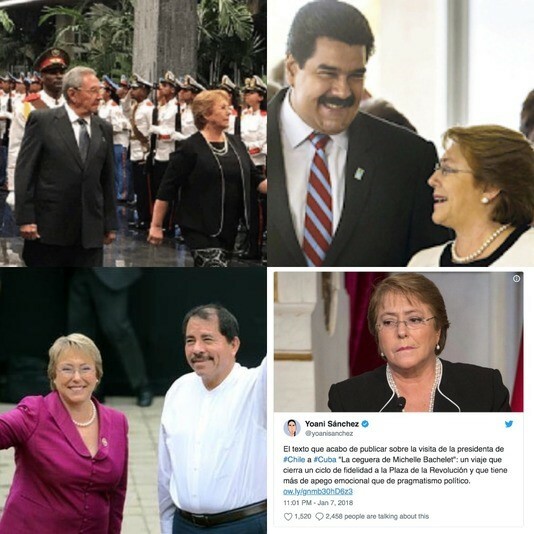 The non-governmental human rights group UN Watch congratulated Michelle Bachelet on her appointment today as UN human rights chief, but joined Amnesty International, UNA-UK and other NGOs in criticizing the lack of transparency of the rushed process. In particular, UN Watch regreted that Bachelet has not yet responded to questions that were raised over her spotty record on supporting human rights in Cuba, Nicaragua and Venezuela. « There’s no question that the former Chilean president is a highly educated and intelligent politician, who also brings important negotiating skills, » said Hillel C. Neuer, executive director of UN Watch. « Her closeness to Havana is marked by an ideological nostalgia that clouds her view and her ability to recognize the lack of rights that mark the lives of Cubans, » said prominent Cuban human rights blogger Yoani Sanchez.